As we move into an Autumn of propaganda by such as New Philanthropy Capital [NPC], within which a fait accompli of outcomes, impact and data looms large, it’s vital to listen to critical voices. Whilst the chair of a forthcoming NPC conference talks of “the power of Big Data and our capacity to harness it to analyse needs and assess interventions,” Graeme Tiffany, following Rotherham, speaks eloquently about the ‘relational’, about trust, about a world of engagement with young people that can never be reduced to the collection of generalised data, to needs identified from on high and the imposition of interventions from above. 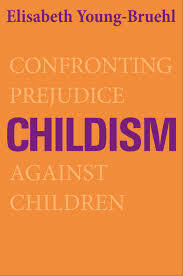 In this exploration he draws on the notion of ‘childism’. He concludes his exploration of the inevitable contradictions of practice. As the man said: “you’ve got to get a handle on that child’s circumstances”. And the best way to do that is to talk to them, and listen, properly. Of course, as he says also, these conversations can take us into uncharted waters, where we might be inclined both to doubt (“did that really happen?”) or grasp quickly for the tiller of control. But these are not the instincts of all, nor are they ones we cannot supersede; this guy is among many who know that its engagement and relationships that matter, and that they are worth going out on a limb for. And can only be secured by actively adopting an anti-childist position. This way of working rejects instrumentalism, and by implication, ‘best practice’ (as if a technical response can be rolled out here, there and everywhere – as if context doesn’t matter). Which makes it anathema to the policy meisters who believe everything can be reduced to the numbers. And yet, the structural violence of these systems is fought daily by many, knowing as they do that it exacerbates violence rather than mitigates it. That many of these folk are youth workers is perhaps the greatest irony, for it’s their ways of working that the evidence here shows is most effective: a commitment to engagement, a commitment to relationships, and a commitment to working with the uncertainties that all this implies. Youth work is, like teaching, lest we forget, fundamentally a relational practice through which protection is enhanced, not weakened. The fact that youth work, again like teaching, has become more and more a technical operation, with democratic practices cast aside, because power now ‘knows what’s good for young people’ only goes to show how childism is still rife, in politics, in policy, and unfortunately now, in practice. Despite all the challenges, including dealing with the charges that will be levelled against you – of being ‘liberal’, ‘progressive’, and ‘romantic’ – youth workers and those who share these humane, democratic philosophies must keep faith with their beliefs. Good, and effective, practice demands it. But beware, you will be told daily that you are wrong, that what you believe is ludicrous, that your opinions don’t matter; you will become subject to childism also. Read in full – Working with or Doing to?